I recently talked to Julia Sarcone-Roach about one of my new favorite literary cats, Muffin! 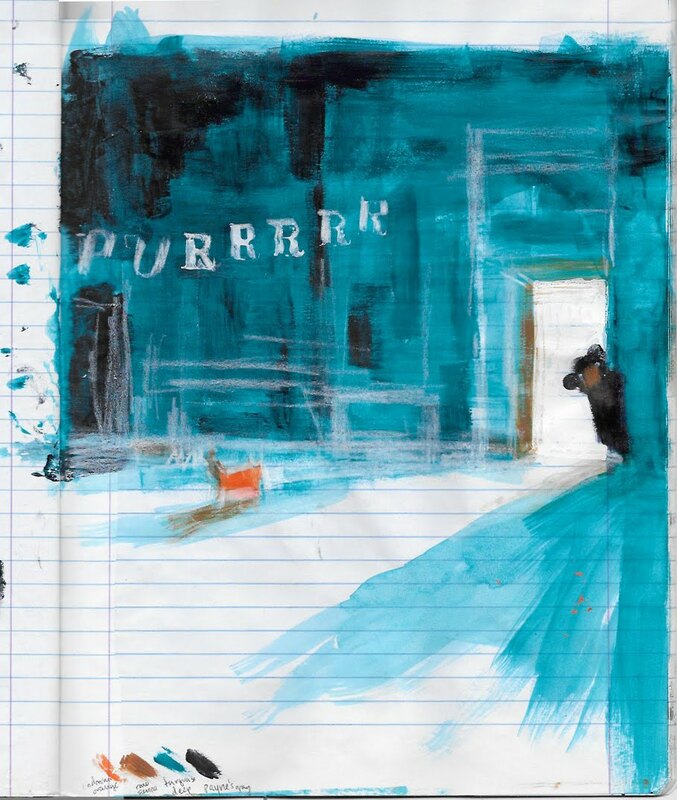 Muffin is from Julia's latest book There Are No Bears in This Bakery, which finds a smart cat and a curious bear in a bakery at the same time. The book is equal parts tender and funny, and I was thrilled to pick Julia's brain about how she made it. LTPB: Can you talk a little bit about the evolution of There Are No Bears in This Bakery? Where did you drawn your inspiration for the story? For me, book ideas spring from an image. 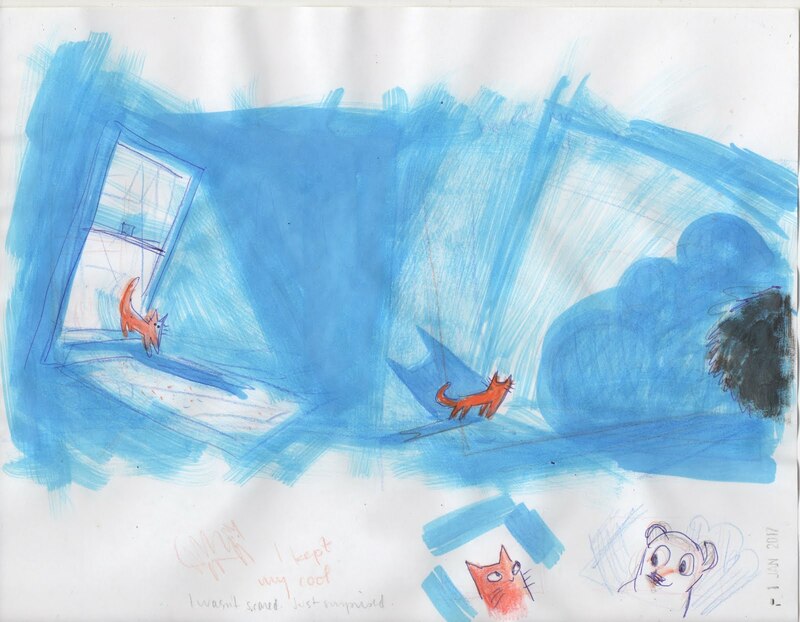 For this one, it was a small orange cat against a black bear with a nighttime blue background. It started with a limited color palette and two characters. Then I tried to figure to the story behind it all. 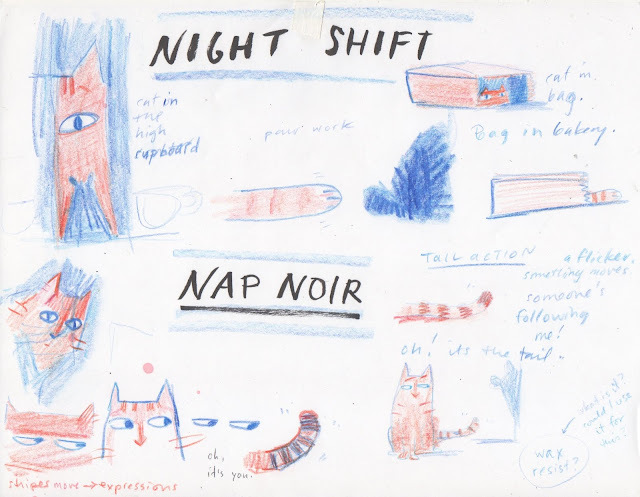 I like to begin the process with visual research and inspiration. I’ll look at paintings, photographs, film stills, vintage book covers or postcards. 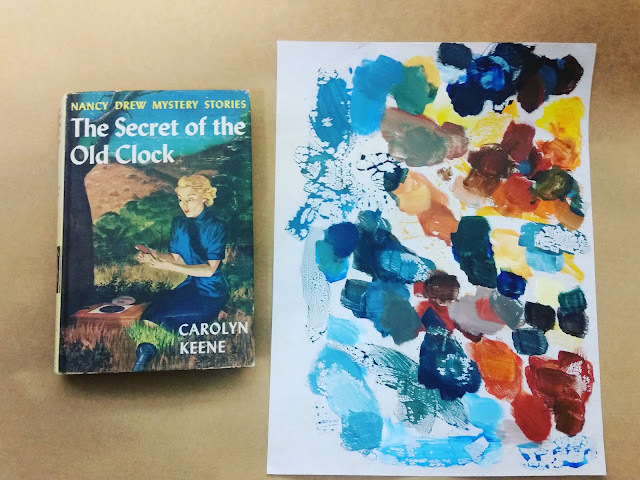 For this book, I returned to some favorite thrilling but silly books of my childhood - The Spooky Old Tree by the Berenstains and What Was I So Scared Of? by Dr. Seuss and a few beloved Nancy Drew titles by Carolyn Keene. 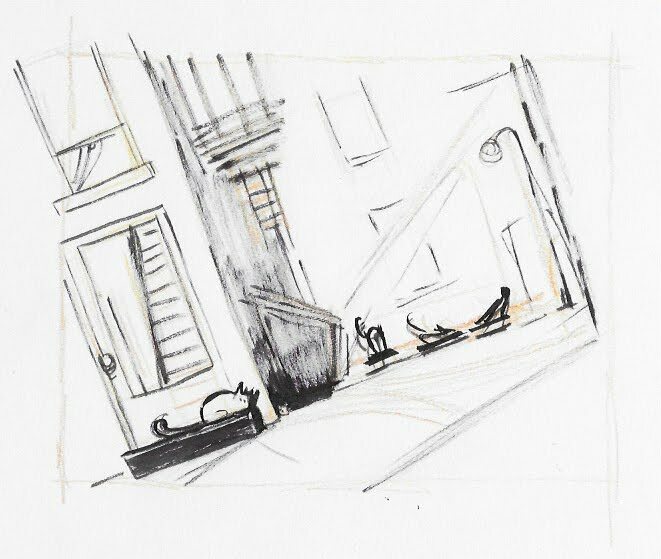 Film noir inspiration led me to design the pages using low perspectives and dutch angles. Once the noir visuals began to add real suspense, the voice of the story finally emerged. 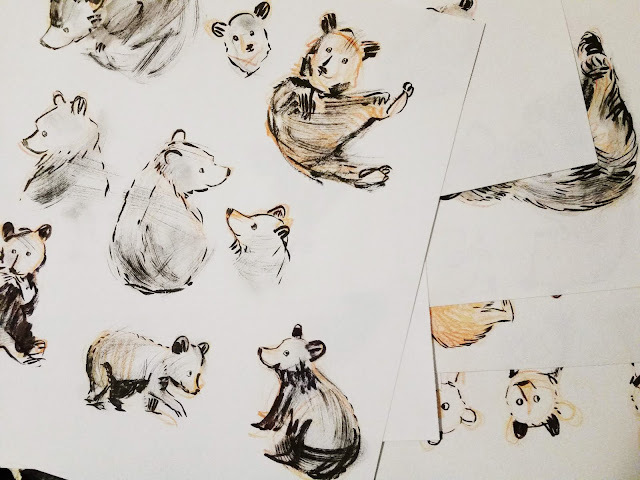 LTPB: There’s a sense of movement to every single image: we see the cat stretching and waking up, the mama bear pouring sprinkles, and even Muffin curling up to go to sleep. How do you think your background in film animation contributes to that need to capture motion? When I imagine a scene or character, it is usually in motion. Then it becomes about finding the right way to show a gesture or action. Working in animation was good practice to observe and illustrate movement. Cats have so many keyframes; they are as much movement as they are stillness, even when they’re asleep. Since there is no end to cat poses, it was sometimes hard to choose which ones to show. I also have the advantage of living with two cat assistants who are also part-time models. LTPB: What did you use to create the illustrations? How did you end up challenging yourself wit this book? 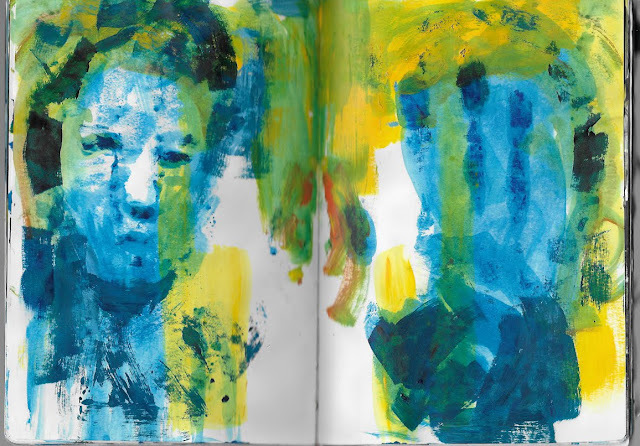 The illustrations were created using acrylic paint, brush marker, and collage. 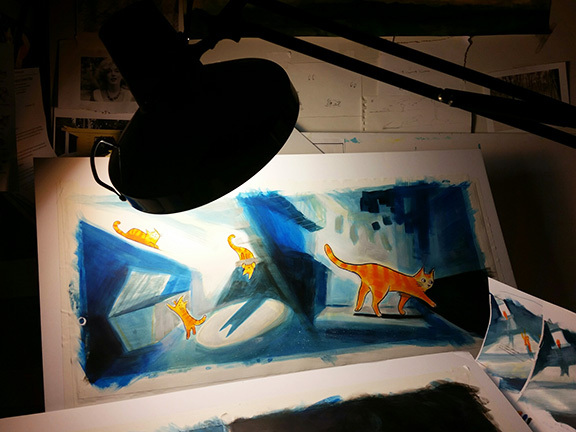 I like mixing media, but the base for most of my illustrations is acrylic paint. 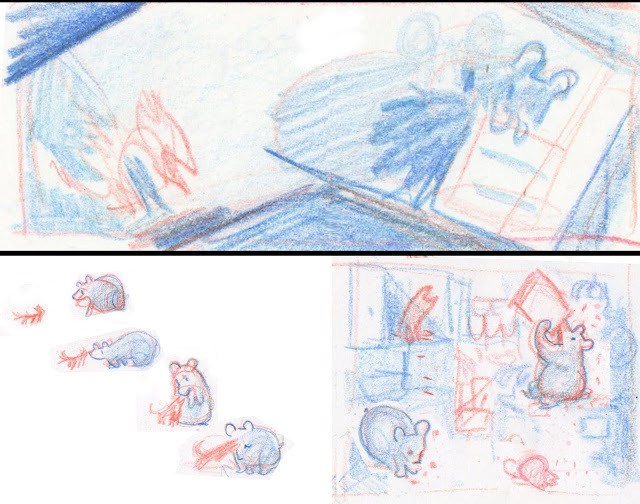 Every book has its own visual feeling so the medium changes depending on the story. 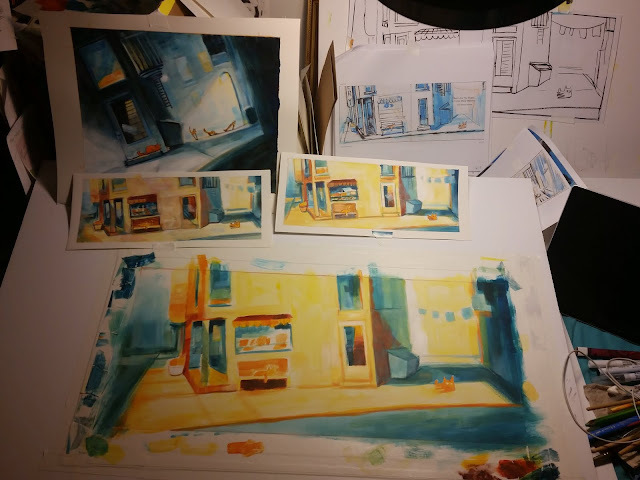 When working in my sketchbook, I like to experiment and play, but I become a little more hesitant when it comes to final art and tend to stick mostly to painting. The sprinkles were actually one of the biggest challenges. 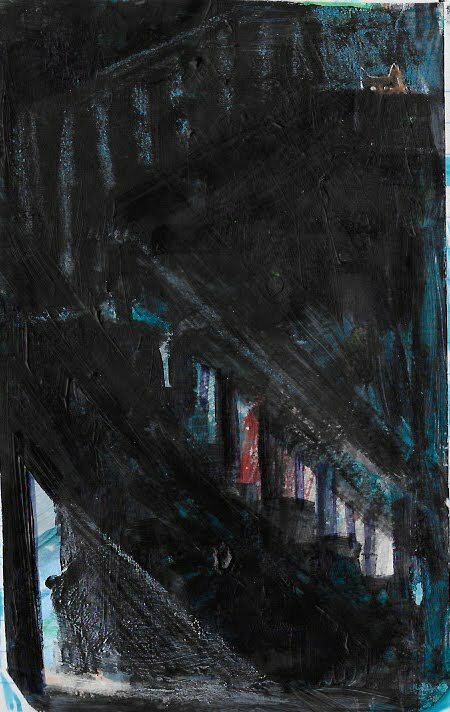 I experimented with a few different ways to make them, and in the end, I wound up cutting them out of painted paper and collaging them onto the paintings by hand. It took a while, but I looked forward to the pleasant meditative task of adding sprinkles. LTPB: What can you tell us about the design of this book? This book was the first time I’d designed a casewrap. 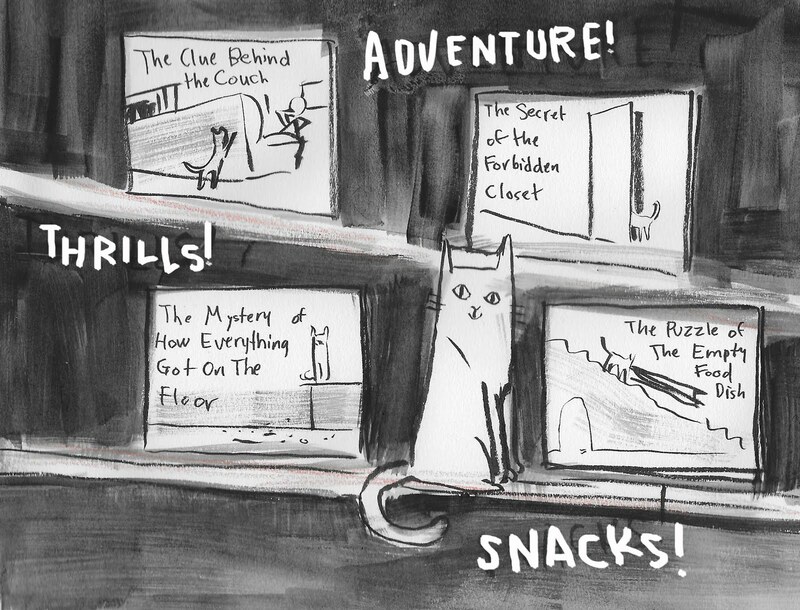 Since the book so much is about peeking and surprises, it seemed like another opportunity to encourage readers to explore the book as a physical object. 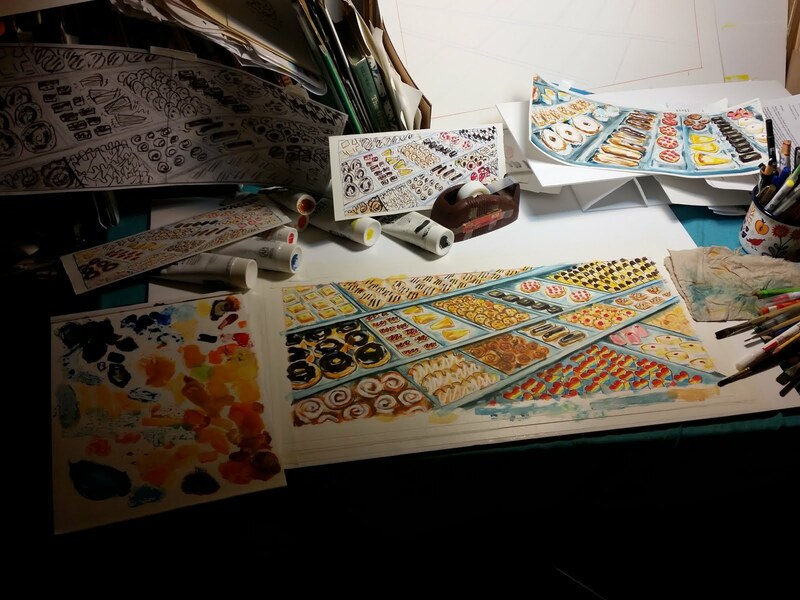 Endpapers are one of my favorite parts of any book and are especially fun to create. It’s a chance to develop details that don’t make it into the story. And then there’s the spot under the flap that can hide a little extra something. The idea to begin the story before the title page came from the ingenious art director Sarah Hokanson; I love that it sets up the cinematic feeling of the story in a playful way. 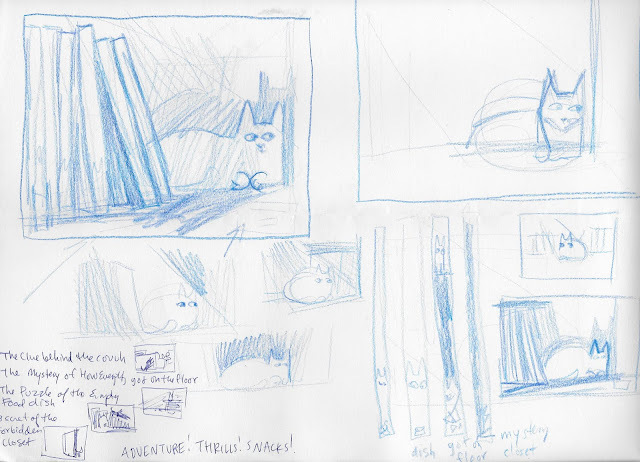 I have some picture book projects that are growing right now but not quite ready to show. I am always working in a sketchbook which is where my ideas grow. It’s the one place where nothing has to be perfect; it’s just about putting marks on a page or playing with color. It can be a journal, a place to find a visual way to work out feelings. Sometimes it’s a place for doodles, recipes, cartoons making fun of myself. Or to write down a funny thing my mom has said. And it is where I practice drawing from life, even if it’s just the cat asleep on the bed. Eventually, it’s all useful in some way. There are many illustrators I admire and who have inspired me. And though I bet they’d all have offers of better subject matter, it would be amazing to see what some of them would do. Virginia Lee Burton has a beautiful way of expressing time, a gift of capturing motion and creating patterns. Leo and Diane Dillon, with their dreamy vibrant color and composition. William Steig and his playful linework and humor. Or Jillian Tamaki, whose skillful drawing and a keen eye for details highlight the awkward beauty of growing up. They all have incredible talents, and in any of their hands, I’m sure anyone’s life could look special. 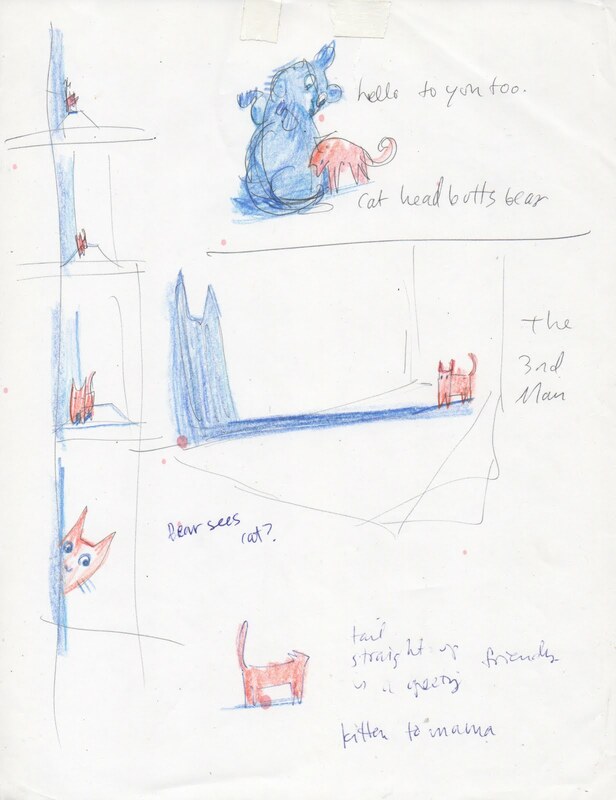 A big thank you to Julia for talking to me about this special cat! 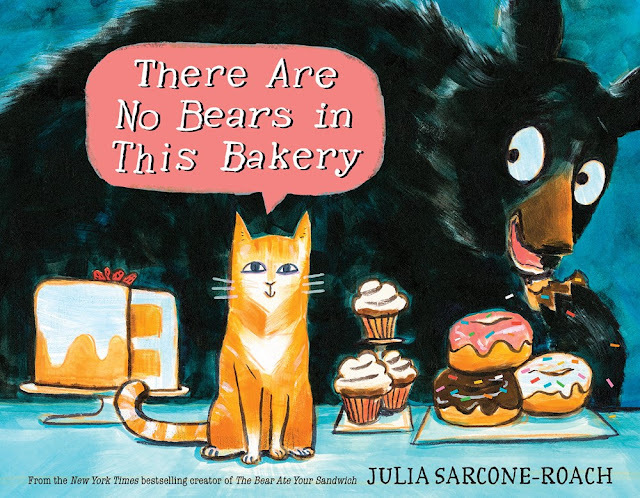 There Are No Bears in This Bakery published earlier this year from Knopf Books for Young Readers! Special thanks to Julia and Knopf for use of these images!